The car was propriety of the driver MASSOLA several times italian champion of SLALOM CHALLENGE. was prepared by CAVALLINI in Mantova. 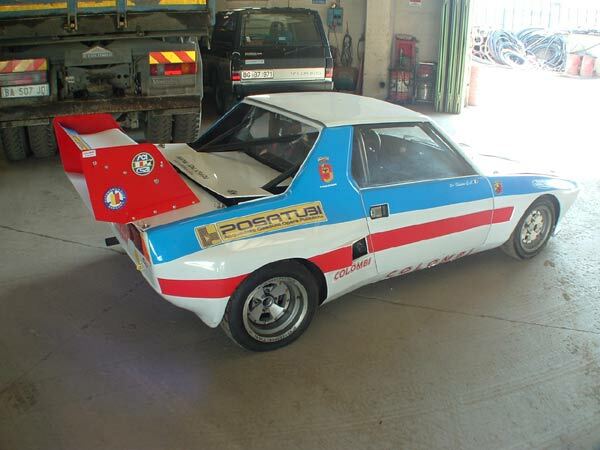 The engine is a FIAT 131 ABARTH RALLYE with head of LANCIA 037 and use DELL'ORTO carburators. the speed Gear become froma BETA MONTECARLO modified from race use without synchronizer. the power is around 210 HP to wheel - with actual driver VISINONI it win several races - is prepared under the Rules of SLALOM CSAI ITALIAN CHALLENGE RACE and have a CSAI technical passport stll renewed. the car have several spare parts too and several set of wheels and tyres. if u call me for every question i can speak fluent ENGLISH.